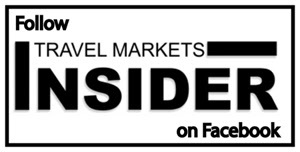 Distell’s travel retail business in the Americas grew in 2018 driven by major initiatives and increased distribution with Dufry, DFASS, DFA and International Shoppes for a number of its key focus brands – Amarula, Nederburg and Deanston. “Our attendance at the 2019 Summit of the Americas follows several key new listings in the Americas region for our premium wine brand Nederburg and Deanston Highland Single Malt. We’re experiencing strong momentum in the region and look forward to building on this further together with our U.S. distributor Alexander James,” says Distell Global Travel Retail Managing Director, Luke Maga. Amarula has gained significant traction in the region thanks to new product innovations Amarula Vanilla Spice and the limited-edition African Range. Vanilla Spice, Amarula’s new premium cream liqueur, is the first in a series of range extensions to Amarula and is infused with Madagascan vanilla extracts and African ginger. 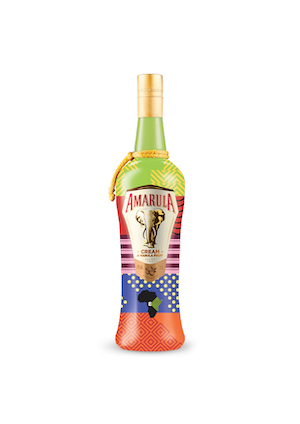 Amarula’s limited-edition travel retail-exclusive African Range pays homage to Amarula’s African roots by exploring the rich cultural diversity of Africa through collaborations with designers and artists from the continent’s four corners. Elephant conservation remains a core focus for Amarula, with the brand continuing to work with animal conservation charity WildlifeDirect. In August last year, over €50,000 was raised through sales of special 1-liter Amarula bottles in global travel retail. Nederburg, the leading and most-awarded wine brand in the Distell Premium Wines portfolio, has seen strong Americas travel retail growth powered by the recently extended Private Collection range. Now listed across the region with Dufry at major locations in both Latin and North America – and soon to be listed with International Shoppes – the Private Collection is helping to drive awareness and attract new consumers to the South African wine category, says the company. Three new wines – a dry, fruity rosé, made from a blend of Carignan and Grenache; a juicy, and supremely food-friendly Chenin blanc; as well as a plush, plummy and full-bodied Pinotage – were added to the travel retail-exclusive Private Collection in 2018. These joined the Cabernet Sauvignon, Shiraz and Sauvignon Blanc to create a range of six ultra-premium expressions. Introduced to U.S. travel retail at the 2018 Summit of the Americas, Deanston Highland Single Malt has gained a strong foothold in the market, with availability at new locations including New York JFK and Dallas Fort Worth. 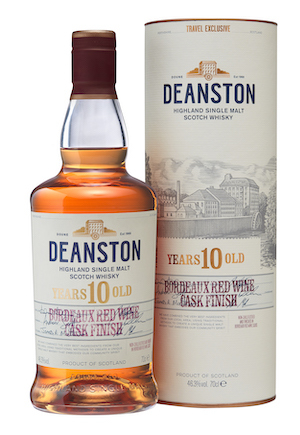 The range in travel retail comprises Deanston Virgin Oak, Deanston 15 Year Old, Deanston 18 Year Old and the 10 Year Old Bordeaux Red Wine Cask Finish. Deanston sits alongside Bunnahabhain – the popular Islay single malt – to form Distell’s distinctive single malt line-up.